Raising your testosterone levels is one thing, but keeping them raised is another – and we can think of no better nutrient that Vitamin K2 to manage such a task. Vitamin K2 is one of the more silent heroes in testosterone boosting as not many people tend to talk about it – but trust us – after you read this, you’ll definitely be wanting it in your stack. Especially if you’re already familiar with the benefits of Vitamin D3 (which you can read all about right here). Regular intake of Vitamin K2, not only supports the effects of Vitamin D3 but also has been linked to the maintenance of healthy testosterone levels – the only problem with K2, are the foods where you find it. 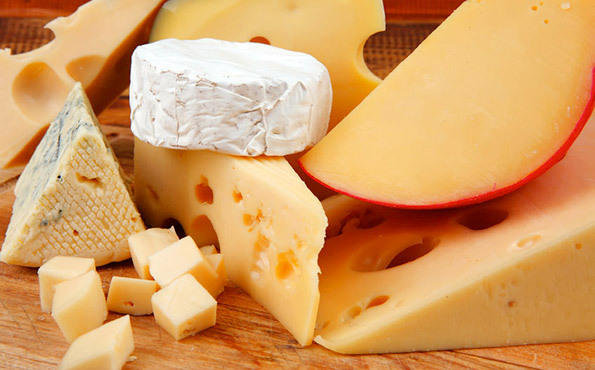 Cheeses, eggs, butter, chicken liver, ground beef and salami are all foods where you’ll find Vitamin K2. However, quite a lot of these foods are high fat (and not just the good kind) which may not tie in with your diet if your aim is to build lean muscle. A recent study into the effects of supplementing Vitamin K2  has found that it can beneficial to testosterone production by the effects that it has on the testes. By giving the body the support it needs it can helps towards the maintain testosterone levels and improves health. Another benefit of this nutrient is how it reacts with Vitamin D3. Working together, these vitamins not only help towards the production of testosterone in the body, but also support healthy bone density . With stronger bones you’re less likely to experience joint pain or a fracture while training – which can be a worry while lifting heavy. Regular supplementation of these nutrients not only reduces the risk, but also improves your overall health. TestoFuel contains a great source of Vitamin K2. With a supportive 18mcg of it in every daily serving of our T-Booster, K2 aids the whopping 5000 IUs of Vitamin D3. This cements the effectiveness of the nutrient and ensures healthy bone density and helps to maintain the noticeable rise the supplement will have on your testosterone levels. But it doesn’t stop there – click here to see what other ingredients there are in TestoFuel and how they can help you build strength and pack on muscle. Ushiroyama T., Ikeda A., Ueki M. Effect of continuous combined therapy with vitamin K2 and vitamin D3 on bone mineral density and coagulofibrinolysis function in postmenopausal women. Maturitas.2002;41:211–221. doi: 10.1016/S0378-5122(01)00275-4.